You can try a free Bug Protector Natural Mosquito Repellent so hurry up and grab one right away. Follow our link to Moms Meet website, click Join on right sidebar and enter your details to apply for this giveaway. Click GET FREEBIE button and then join the program for a chance to receive this product. You can get a free sample of Powerizer Complete laundry and dishwasher. Follow our link and supply them with your shipping details and they will send it right to your doorsteps. Click GET FREEBIE button and then order a free sample today. You have a chance to get your hands on a free Bissell crosswave vacuum from ViewPoints. Just follow our link and supply them with your postal detail and if selected, they will deliver it right at your doorsteps. Click GET FREEBIE button and then fill up the form with your details to get yours. You can get a free Air Wick® warmer when you signup to the Sam’s club. Follow our link and read full details about this offer on FreeOsk. Click GET FREEBIE button and then join their club to get this freebie. You can get up to 3 Charmin roll extenders that allows larger rolls to fit easily. To get this freebie, follow our link to the offer page and supply them with your postal details to get them delivered to you. Click GET FREEBIE button and order free Charmin roll extenders from their website. Laundress is giving away free laudry detergent sample packs so hurry up and get one delivered to you right away. Follow our link and supply them with your shipping details to get yours. 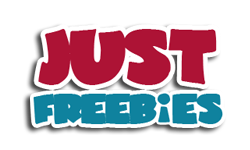 Click GET FREEBIE button and then order your free laundry detergent sample pack. Hurry up and get yourself a free sample of Persil ProClean and see the quality first-hand. Just follow our link and supply them with your shipping details and they will deliver it to you. Click GET FREEBIE button and then order your free sample of Persil ProClean today. Join the Bona Loyalty Club and you will be sent free products to try including the Bona® Mop. Follow our link and join their club by filling up the form and start receiving these products. Click GET FREEBIE button and then register for a chance to get your hands on these household products. You have a chance to get your hands on a free Bissell vacuum from ViewPoints. Just follow our link and supply them with your postal detail and if selected, they will deliver it right at your doorsteps. Click GET FREEBIE button and then fill up the form with your details to get yours. You can get a free Fiskars chatterbox that contains a utility knife and lots more. Follow our link, click Apply button and signup to receive thispack. Click GET FREEBIE button to visit Ripple Street website now and enter for a chance to receive this party pack. Morton Salt company is giving away free water testing kits so you can check the hardness of the water you use at home. Follow our link and supply them with your postal details to receive yours. Click GET FREEBIE button and then order your free water testing kit from Morton Salt. You can get a free sample of Le Blanc Lavender wash set from their official website. Just follow our link and email them directly with your shipping details and they will send it right to your doorsteps. Click GET FREEBIE button and then order free sample of this wash set. You can get free Downy® Unstopables® when you signup to the Sam’s club. Follow our link and read full details about this offer on FreeOsk. Click GET FREEBIE button and then join their club to get this freebie. You can get yourself a free Bissell Oxy Stain Destroyer from ViewPoints. Just follow our link and supply them with your postal detail and they will deliver it right at your doorsteps. Click GET FREEBIE button and then fill up the form with your details to get yours. You can get loads of free goodies from Arm&Hammer including their Baking Tins. Follow our link, register for a free account and get these goodies delivered to you so you can try them out. Click GET FREEBIE button and then register to get free goodies from Arm&Hammer.